Vertical Blind is one of the oldest blinds that still popular in the market. With its popularity, different materials were made for this blind style. 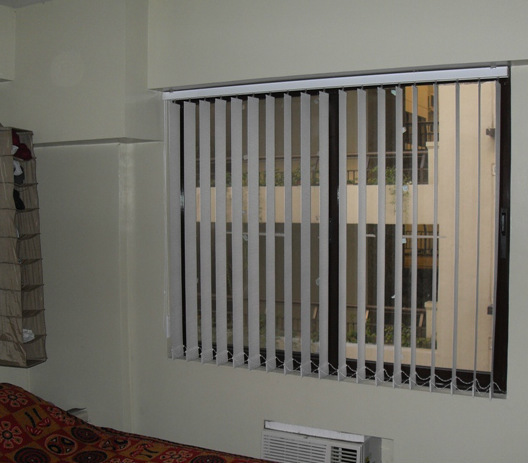 Vertical Blinds can be made of PVC, wood, aluminum and fabric. In DS Windows & Walls Interior Supply, we offer PVC and Fabric Vertical Blinds. With different materials of Vertical Blinds, its look and texture also changed to a more chic and elegant style. 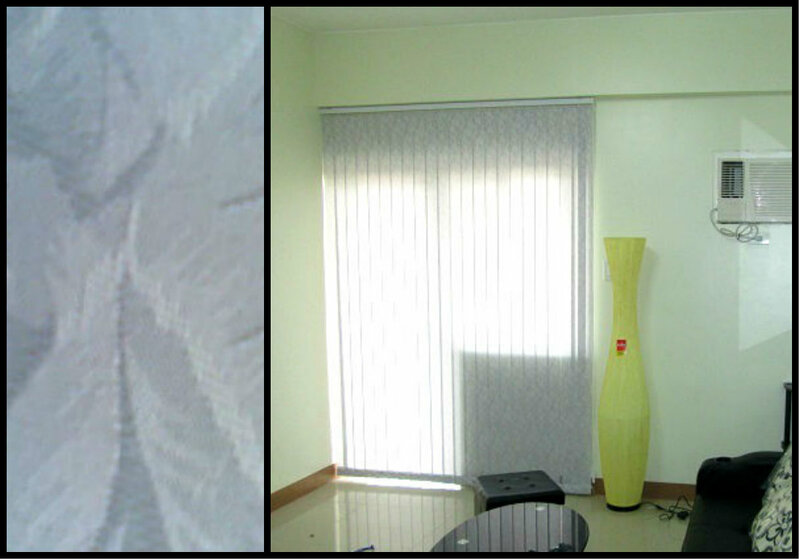 One of our clients in Global City, Taguig was fascinated with Fabric Vertical Blinds look. She opted for Fabric Vertical Blinds in her dining room, living room and her own bed room windows and doors. According to her, fabric vertical blinds is very convenient in protecting her furniture while giving her house a stylish and inviting look. Fabric Vertical Blinds also fit well with her modern motif flawlessly and help make her room more appealing and a way cozier. In her bed room, she used something gray with leaf design, creating a beautiful look for her windows. In her living room with a modern motif, she used a leaf printed design with gray color that helped emphasize the modernity look. While for her dining area, she preferred white for peace and purity atmosphere with a simple wave design. For more information, you can email us at inquiry@dswindows.com or call us at (02) 893-1373 / (02) 403-3262 / 0916-311-3909. You may also visit our showrooms at 4th Level Waltermart, Makati City, 3rd Level Robinsons Metro East, Pasig City and 2nd Level Pacific Mall, Lucena City. In DS Windows & Walls Interior Supply we offer different kinds of blinds with a large variety of choices to ensure that our client will find the most suiting blinds for their windows. Fabric Vertical Blinds is one of the blinds that we have new style like Vienna, Mamonde, Clover and many more. 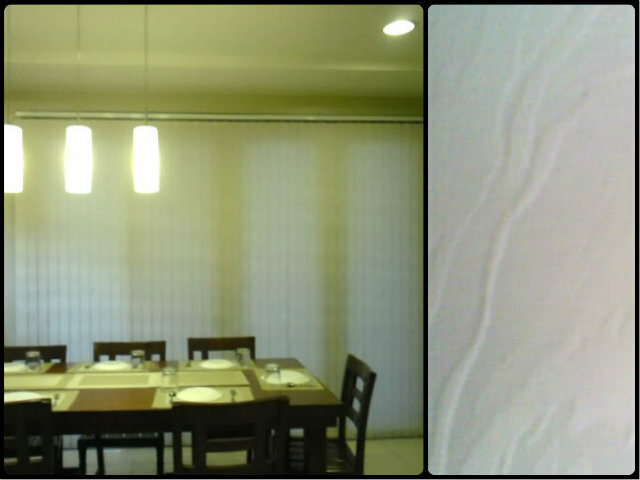 One of our clients in Quezon opted for Fabric Vertical Blinds in both their windows and door. She selected Fabric Vertical Vitra V7598 Grey for the bedroom and Fabric Vertical V7547 Grey for their living room. Both blinds has the same color, but V7598 Gray has a leaf print wherein when the sunlight hit the window blinds, you will see the beautiful leaf design. For their living room, they choose a simple gray color window blind and it helps make the room more comfortable and welcoming. 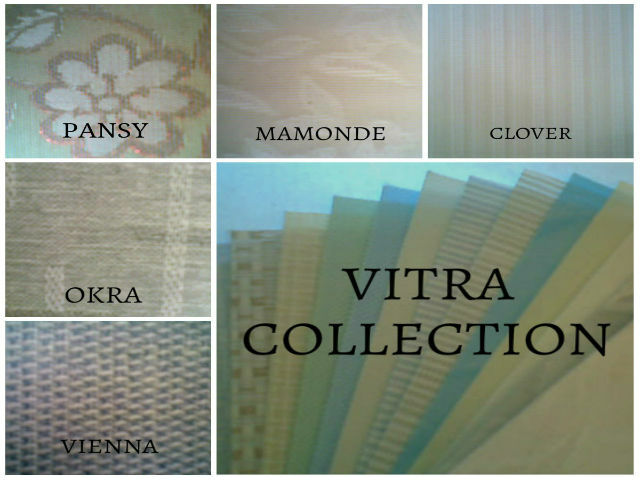 Before, Fabric Vertical has a limited choices, but now DS Windows offers Vienna, Okra, Mamonde, Clover and Pansy design that you will surely like. 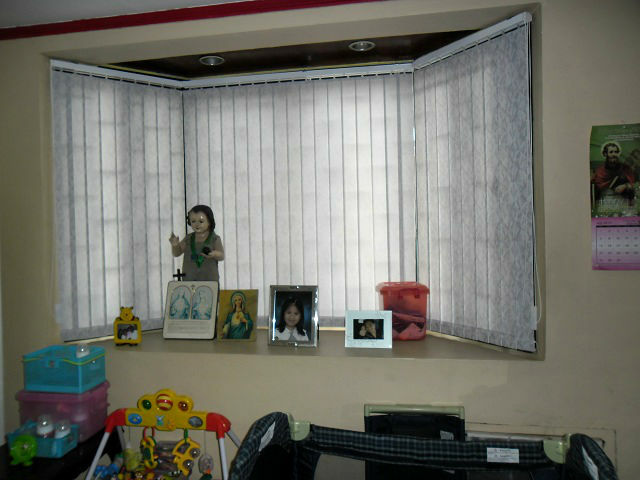 You may visit http://angryblinds.com.ph for various blinds type. For more details, please call us at (02) 893-1373 / (02) 403-3262 / 0916-311-3909 or email us at inquiry@dswindows.com. For more information about our other products, you can view it at our official website http://www.dswindows.com or visit our showrooms at 4th Level Waltermart, Makati City, 3rd Level Robinsons Metro East, Pasig City and 2nd Level Pacific Mall, Lucena City. Windows are one of the most important factors in designing your home, restaurant or any construction. The size, style and structure can make a huge difference in the appearance inside and out of your house. For outside view, your windows are the accent or highlight of your house. While for inside view, the windows have a great influence in setting a mood and the convenience of having a natural light and ventilation. The bigger the window, the more lights and air will enter the house and the more attraction will it get. One of our clients in Bulacan, Philippines had a huge and tall window in the stairs. It is quite large and high which make it one of the hardest to install window covering. It is somewhat dangerous for the installer to install high ceiling window blinds and some blinds are not suitable for a long and big size window. That is why our customer opted Fabric Vertical Blinds: V8212 Beige for their stair window because Fabric Vertical Blinds are the most suitable and functional for huge and high window. They also selected Fabric Vertical Blinds not only because of its functionality, but also its enhancing and complimenting beauty and elegance. In DS Windows & Walls, we offer free quotation and free home visit for actual measurement within Metro Manila. For more details, please feel free to contact us at (02) 893-1373 / (02) 403-3262 / 0916-311-3909 or email us at inquiry@dswindows.com. You can also visit our website at www.dswindows.com. 2nd Level Pacific Mall, Lucena City. Dining room is a place where families gather over a meal and share some conversation. It is also a place where ordinary or special occasion happens. Sometimes, this space is used for doing homework, paying bills, working on craft projects or just hanging out. So it is important to choose your dining theme based on your family needs. Making it more glamorous and relaxing makes your family feel comfortable, calm and cool when doing some things. The dining area is not always about tables and chairs and pots and pans. The characteristics of glamorous dining room areas are not just about the presence of elongated chandeliers, various types of glasses, a dash of gold, etc. A plain glass table in the centre of the dining room with white or grey leather chairs will surely make your dining area look fascinating and simple yet glamorous. 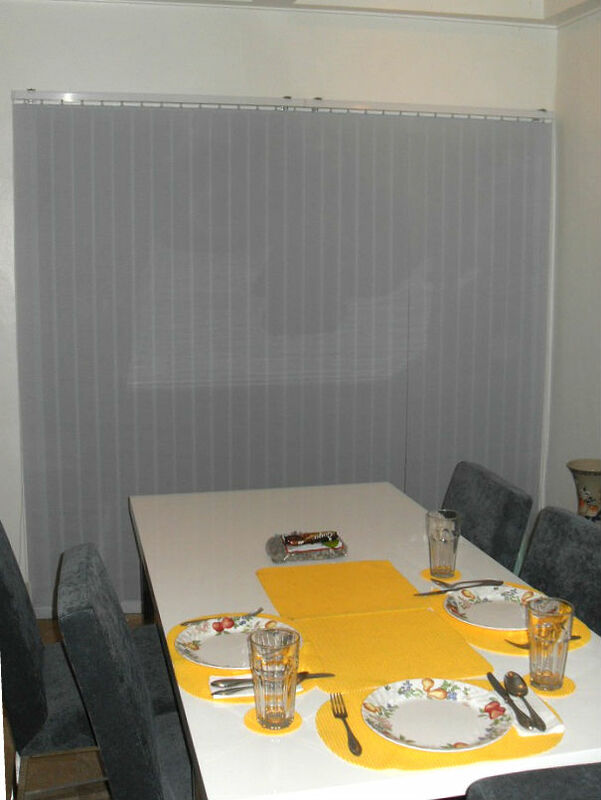 Moreover, if your dining area is facing a large glass sliding door, you can use Fabric Vertical Blinds to cover it. Fabric vertical blinds are another type of vertical blinds that are very useful especially for glass sliding doors. In making your dining room look glamorous, it is very advisable to use fabric than PVC vertical blinds. 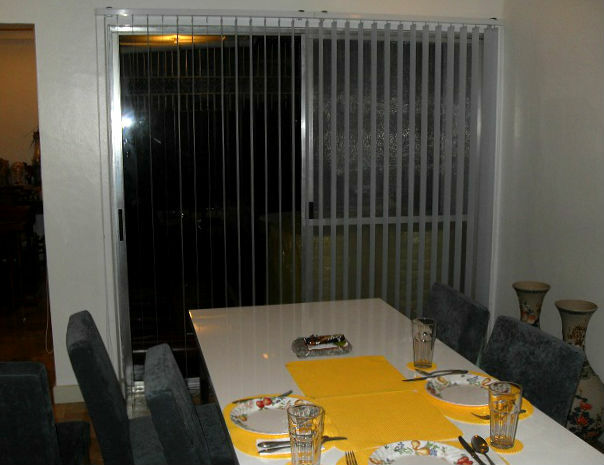 Our client from Marcelo Green Village, Parañaque City opted to use V7546 Blue Fabric Vertical Blinds for his dining sliding door. It really adds beauty to make his dining area looks more glamorous. DS Windows & Walls’ offers different types of window treatment that can make your dwelling place look glamorous and modern yet comfortable place to live. For more details, call us at (02) 403-3262 / 0916-31-3909 or e-mail us at inquiry@dswindows.com. You can also visit our showrooms located at 4th Level Waltermart, Makati City, 3rd Level Robinsons Metro East, Pasig City and 2nd Level Pacific Mall, Lucena City. You can also visit our website at http://www.dswindows.com for more interesting and useful blog topics. 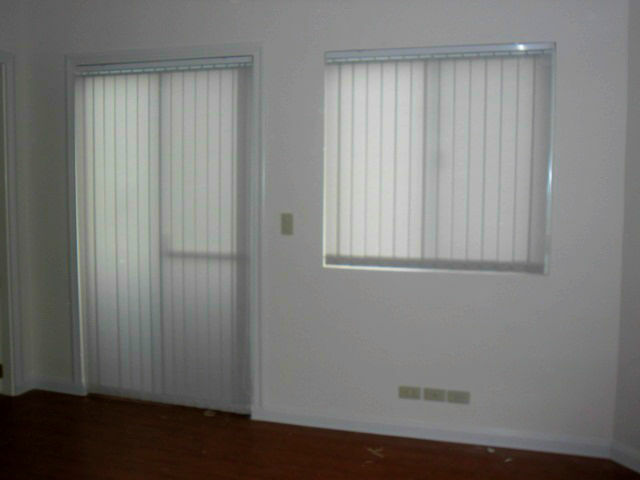 There are four basic purposes of fabric vertical blinds. Firstly, it enhances the beauty of a certain room due to its different colors, style and textures. Wide array of colors are available ranging from darkest to lightest color which can match with your overall home motif and personal taste. Its fabric material makes it more elegant to look at compared to PVC material. Secondly, it gives you the privacy you needed for it contains of blackout material which can totally block the visibility from the outside. Due to merging needs of blackout fabric vertical blinds, we provided our latest blackout fabric vertical for customers who opt for a complete privacy. 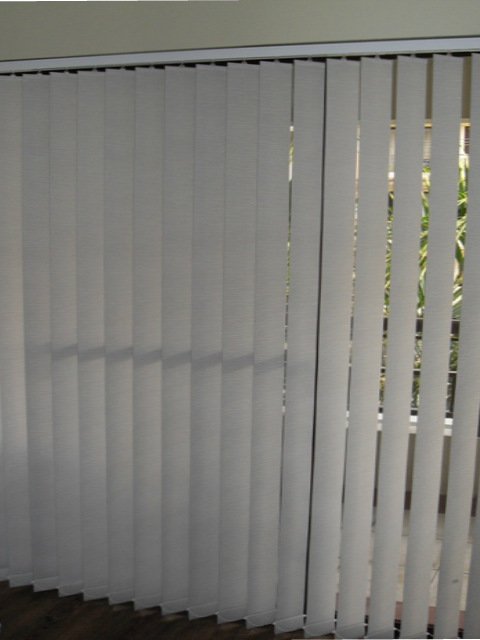 Thirdly, fabric vertical blinds can be cleaned easily. 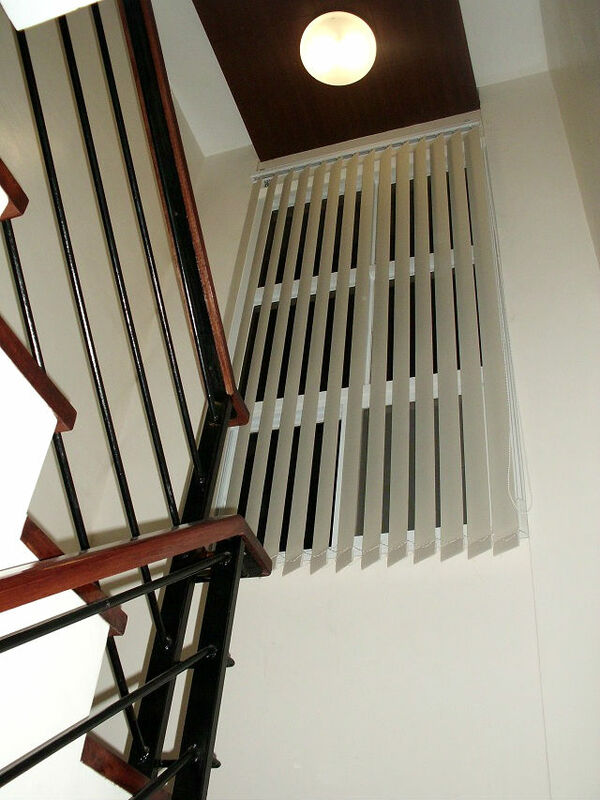 Unlike other blinds where in you have to remove the mechanism from the window when fabrics accumulated much dust, fabric vertical blinds slats can be removed from the mechanism one by one without removing the mechanism from the window. It can be cleaned by soaking fabric vertical slats in a mild soap and water. Lastly, it reduces or totally blocks the amount of heat entering your room, creating a more comfortable sanctuary for you to rest. 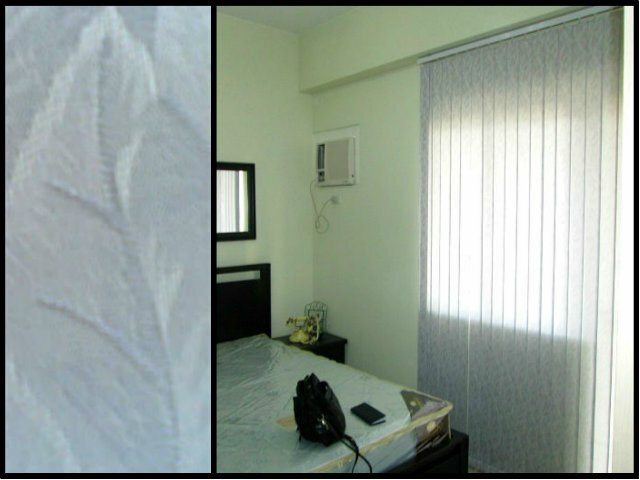 Photos are from one of our installations at Marikina City who opted for fabric vertical blinds. Fabric vertical Blinds is better to reduce the amount of heat and sunlight entering to the room and less damage to our skin due to its polyester fabric. Better air circulation is also necessary for a comfortable environment. Its light weight makes it safer if you have kids and pets. 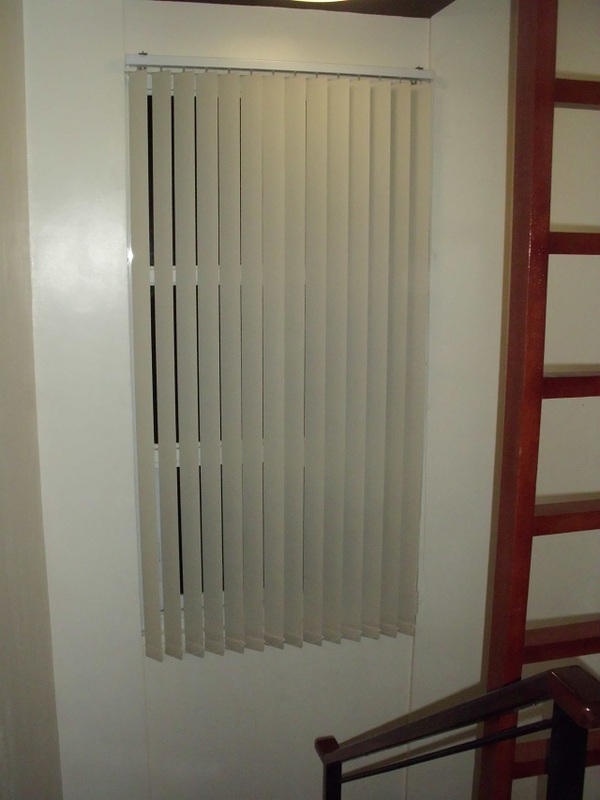 If you opt for an opaque material of vertical blinds, you can have PVC vertical blinds. On the other hand, if you opt for a fabric material which is of course more flexible and elegant to look at, you can have fabric vertical blinds. You are free to select from PVC vertical, Fabric vertical and also you can have Roller shades, Combi blinds, Mini blinds, etc. We are customizing any sizes for your window treatment. FREE HOME VISIT IF WITHIN METRO MANILA.